The Maine State Police Troop F barracks in Houlton responded to 133 calls for service during the week of Nov. 21-27, 2016. – Troopers from Troop F responded to 42 accidents/vehicles off the road this week due to a couple of small storms that traveled through the area. Roadways became snow covered and slippery resulting in a large number of accidents and wrecker calls for vehicles that skidded off the road. – Trooper Tim Saucier responded to I-95 in Smyrna for a motor vehicle crash just after 8 p.m. Through his investigation Tr. Saucier learned that 38-year-old Houlton woman had been driving north on I-95 when a vehicle struck her 2007 Toyota Camry from behind. The impact forced her vehicle off the road and caused it to crash into several trees. The rear end of the Camry was completely crushed by the force of the impact with the other vehicle. The operator of the vehicle that crashed into the Camry did not stop once the crash occurred; but kept going. The hit-and-run victim was transported to Houlton Regional Hospital with non-life threatening injuries. Later in the morning, after asking for assistance from the public, Tr. Saucier received information as to the location of the other vehicle and operator in the crash. Tr. Saucier located the operator who fled the scene at a local hotel and charged a Texas man for leaving the scene of a personal injury crash, driving to endanger, and operating after suspension. – Tr. Saucier responded to an Oakfield residence after a homeowner returned to find items missing from the home. The investigation is ongoing. – Tr. Sylvia responded to a burglary complaint in the town of Bancroft. Camp owners arrived to find that multiple items were stolen from the camp. The investigation is ongoing. – Tr. 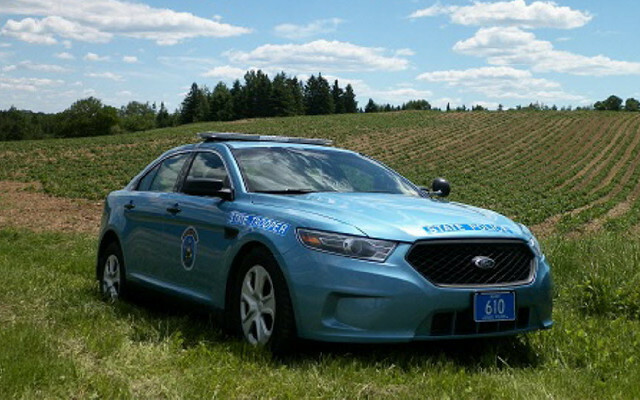 Adams responded to Houlton to cover a motor vehicle crash involving a Houlton Police Department cruiser/deer crash that occurred while the Houlton unit was responding to a scene with lights and siren. The officer was not injured in the crash. – Tr. Bell investigated a theft at a roadside Christmas tree stand in Monticello. The employee left the business and returned to find that bags of potatoes, multiple Christmas trees, and cash from a locked box had been stolen. Investigation is ongoing.